For this box set each album has been carefully mastered for "The Collection" and pressed on 140 gram vinyl for the very best in audio quality. 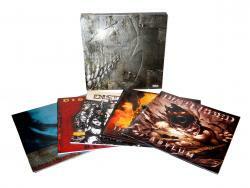 Each album has been meticulously showcased in a stunning art presentation that is unique and exclusive to this release. Recorded live on opening night of the 2011 Chicago International Movies and Music Festival, Joan of Arc Presents: Joan of Arc is a complete instrumental soundtrack for the 80-minute classic French silent film The Passion of Joan of Arc. 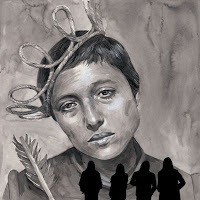 A dark, flowering sonic counterpart to the film's grim subject matter, Joan of Arc Presents: Joan of Arc is limited to 175 hand-numbered copies on side-by-side black and white vinyl. Elliott Smith Division Day 7"
New brutality on CLEAR VINYL with BLOOD SPLATTER! 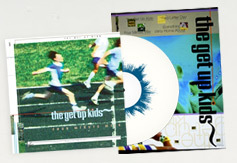 The Get Up Kids' 'Four Minute Mile' is set to be re-released on vinyl to celebrate it's fifteenth anniversary. "* Four Minute Mile on opaque white and aqua blue splatter vinyl, an original Four Minute Mile poster and a digital copy of 4MM. There will only be 30 bundles of this option. * Four Minute Mile LP on opaque white vinyl, Woodson 7-inch, an original Four Minute Mile poster and mp3 downloads. This is the first time Woodson has been back in print on vinyl in quite some time! This is limited to 265 bundles. * Four Minute Mile LP on opaque white and aqua blue splatter vinyl, Woodson 7-inch and original Four Minute Mile poster. This will be limited to 200 bundles. * Four Minute Mile on opaque white with aqua blue splatter vinyl, aqua blue Woodson 7-inch, original Four Minute Mile poster, a test pressing of the LP and MP3 download of the album. This will be limited to 10 bundles." The label explains: "750 opaque white, 250 opaque white with aqua blue splatter and 500 aqua blue 7-inch vinyls are being pressed. These four options are only going to be available on a limited, one-month-only basis. Once they sell out, they are gone. The buy links will be removed and no longer available for purchase." To order, or find out more details, click here. 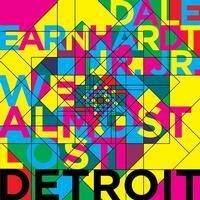 Dale Earnhardt Jr. Jr. will be releasing a special Detroit-themed 12" for Record Store Day. The EP will feature six songs, including two versions of "We Almost Lost Detroit," a Gil Scott-Heron cover that also appears on their full length debut It's A Corporate World, as well as two covers of songs by fellow Detroit artists Madonna and Sixto Rodriguez and three remixes by Detroit-based artists. The 12" is a limited pressing of 2k standard black vinyl units and will be available for $16.98 exclusively on Record Store Day on 4/21. Remastered reissues of the first three albums from THEATRE OF TRAGEDY — the Norwegian band which once featured in its ranks current LEAVES' EYES vocalist Liv Kristine — will be made available later in the year. 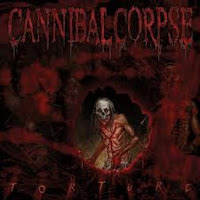 The group's self-titled debut (1995), "Velvet Darkness They Fear" (1996) and "Aegis" (1998) will feature rare bonus material, new liner notes and will be released in digipack and double vinyl LP formats. Vinyl: The Comeback from Kyle McCarthy on Vimeo. Born on this day in 1932, Johnny Cash. 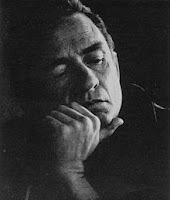 Cash died of respiratory failure on September 12th 2003, aged 71. In 1954, a US congresswoman introduced a bill to prohibit the distribution of "obscene, lewd, lascivious or filthy" recordings. 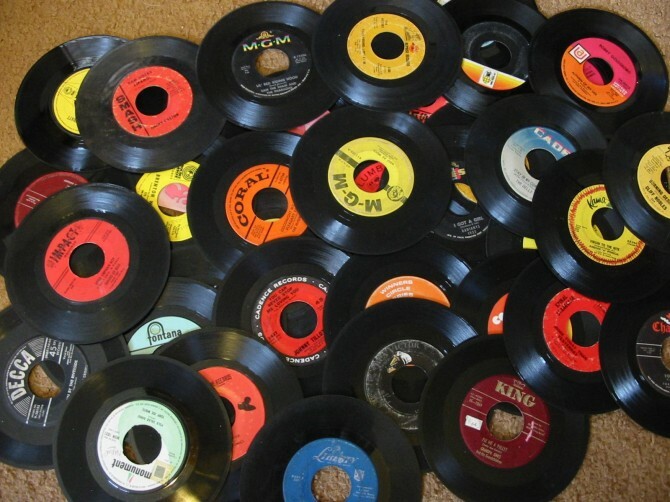 In 1955, sales of 45 rpm records outsold 78 rpm discs in the US for the first time. 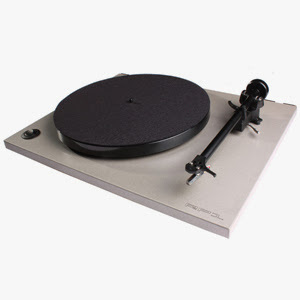 The number 45 came from taking 78 and subtracting Columbia's 33 rpm. RCA introduced the first 45 on March 31, 1949 when they released 104 single vinyl records. The first 45 to hit the Billboard charts was "You're Adorable" by Perry Como, on May 7th, 1949. Also in 1955, R&B singer LaVern Baker appeals to the United States Congress in a letter to Michigan Representative Charles Digges Jr., to revise the Copyright Act of 1909. She says that recording artists should be protected against "note-for-note copying" of already recorded R&B tunes and arrangements by white artists and arrangers. Her request was denied. In 1958, Perry Como was at #1 on the UK singles chart with 'Magic Moments' the 2nd #1 in a row for writers Burt Bacharach and Hal David. It stayed at #1 for eight weeks. In 1962, trumpeter Al Hirt recorded Allen Toussaint's "Java." Released as a single late the following year, it became Hirt's biggest hit, peaking at #4 on the Billboard Hot 100 and earning him a Gold Record. 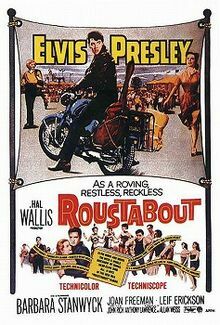 In 1964, in Hollywood, Elvis Presley began filming his 16th movie, "Roustabout," co-starring Barbara Stanwyck, Joan Freeman, Leif Erickson, Sue Ane Langdon, Pat Buttram, Dabbs Greer, and Jack Albertson. In 1964, the Beatles worked on the final mixes for "Can't Buy Me Love" and "You Can't Do That" tracks. The single, which was released the following month, topped the charts all over the world. In 1965, Guitarist Jimmy Page released a solo single called "She Just Satisfies" in the UK. Page played all the instruments on it except for the drums, and produced the track, as well as singing lead vocals. In 1966, Nancy Sinatra went to #1 on the US singles chart with 'These Boots Are Made For Walking', also a UK #1. 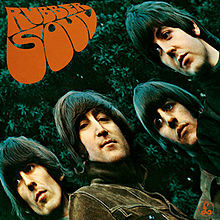 In 1966, the Beatles' LP "Rubber Soul" rose to #1 on the Billboard Hot 200 chart, becoming the group's seventh US album chart topper. Paul McCartney conceived the album's title after overhearing someone's description of Mick Jagger's singing style as "plastic soul." To date, the album has sold over six million copies in America. In 1970, the Beatles album "Beatles Again" was released in the US. It was quickly re-titled "Hey Jude" to promote the inclusion of the song that led off side two and never before had been released on an album. The front and back cover pictures on the album were taken at the last Beatles photo session on August 22, 1969 at John Lennon's new 72-acre estate, Tittenhurst Park. In 1972, Joe Tex's funk record "I Gotcha" enters the Billboard Pop chart and begins its climb to #2. Much the success of the song is rumored to be Tex's slurred delivery of the line Told you not to play with my affection, which caused many listeners to mistake the last word for one that rhymes with it. Also in 1972, Sonny Geraci led his group, Climax, to the top of the Cashbox Magazine Best Sellers Chart with a song called "Precious And Few". Geraci was no stranger to recording success, as he had been the lead singer for The Outsiders' four Billboard Top 40 singles, including "Time Won't Let Me" in 1966. In 1977, Sherman Garnes from Frankie Lymon And The Teenagers, died during open-heart surgery. They had the 1956 UK No.1 and US No.6 single 'Why Do Fools Fall In Love'. In 1977, the Eagles went to #1 on the US singles chart with "New Kid On Town," the group's third US #1, a No.20 hit n the UK. In 1978, Vladimir Horowitz marked the 50th anniversary of his U.S. debut with a performance at the White House. In 1980, after seeing U2 play at Dublin's National Boxing Stadium in front of 2,400 people; Rob Partridge and Bill Stewart from Island Records in the UK offered the band a recording contract. 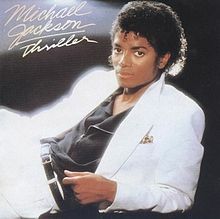 In 1983, Michael Jackson's 'Thriller' went to #1 on the US album chart. It went on to become the most successful album of all time with sales over 50 million copies. In 1985, at the 27th annual Grammy Awards, Tina Turner's "What's Love Got To Do With It" is named Best Record and Best Song, while Cyndi Lauper wins Best New Artist. Additionally, Chuck Berry received a Lifetime Achievement Grammy. In 1987, the LP "The Beatles", more commonly called "The White Album", became the first Beatles' LP to be issued on CD. 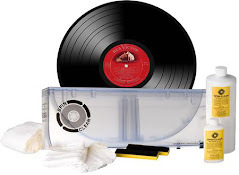 According to the Recording Industry Association of America, the disc is group's best-selling album, going 19-times Platinum and is the tenth-best-selling album of all time in the United States. In 1989, jazz trumpeter Roy Eldridge, who played in the big bands of Gene Krupa and Artie Shaw, died at the age of 78. In 1990, 53 year old Cornell Gunter, former lead singer of The Coasters died in a hail of gunfire when an unknown assailant sprayed his '78 Camaro at a Las Vegas intersection. In 1990, Sinead O'Connor was at #1 on the UK singles chart with 'Nothing Compares 2 U.' Her version of the Prince penned song was also a #1 hit in 18 other countries. In 1995, Jimmy Page and Robert Plant began a world tour to support their reunion album "No Quarter." At the 39th Grammy Awards, Eric Clapton wins the Best Male Pop Vocal category for "Change the World". The song is also named Record Of The Year and Song Of The Year. In 1997, Songwriter Ben Raleigh died after setting fire to his bath robe while cooking. During his career Ben wrote Johnny Mathis' "Wonderful Wonderful", Lesley Gore's "She's A Fool", Joey Powers' "Midnight Mary", Lou Rawls' "Love Is A Hurtin' Thing", Ray Peterson's "Tell Laura I Love Her" and many others. In 2000, Lonestar started a two week run at #1 on the US singles chart with "Amazed." 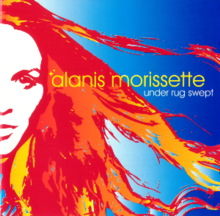 In 2002, Alanis Morissette's third album "Under Rug Swept" was released. In 2002, the Eagles, John Fogerty, Billy Joel and Stevie Nicks are among those taking part in Four Concerts for Artists' Rights, held in the Los Angeles area to raise funds for the Recording Artists Coalition. The organization is working toward changes in the California Labor Code that affect recording artists. In 2008, Apple announced that the iTunes Store had surpassed Best Buy to become the second largest music seller in the U.S. The number one seller at the time was Wal-Mart. In 2008, Buddy Miles, who played drums for Wilson Pickett, The Delfonics and The Ink Spots before founding The Electric Flag with Mike Bloomfield and later joined Jimi Hendrix in Band Of Gypsys, died from congestive heart failure. He was 60. In 2009, A 10-minute version of The Beatles' 'Revolution 1' was leaked onto the internet, giving fans a never-before-heard listen of what the White Album sessions must have been like. Only two copies of the take were made when the song was completed on June 4th, 1968. One copy left the studio with Lennon that day and the other remained behind. It was unclear which copy appeared on the bootleg, nor how anyone acquired it. In 2011, Mark Tulin, bassist for The Electric Prunes on their 1967 hit "I Had Too Much To Dream (Last Night)", suffered a fatal heart attack at the age of 62.